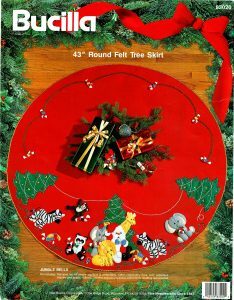 Bucilla Jungle Bells ~ 43" Felt Christmas Tree Skirt Kit #83020, Animals, Santa - FTH International Sales Ltd.
43″ Felt Christmas Tree Skirt Kit #83020. 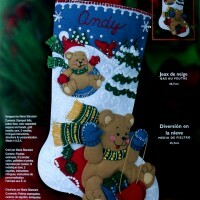 This is a discontinued 1993 pattern so if you love it please make sure you don’t miss the chance to purchase this rare and hard to find kit. 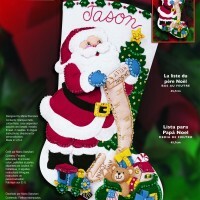 Santa is surrounded by all sorts of Jungle Animals as he is checking his list to make sure he hasn’t missed any of them. If you look closely between the brightly decorated Christmas Trees, Elephants, Giraffe, Zebras and other assorted animals you will even find 2 brightly coloured Toucan birds sitting on Candy Canes. 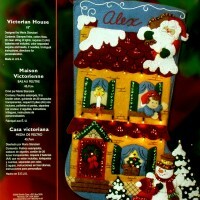 If you like this tree skirt please check my other listings for the matching Jungle Bells stocking and ornament kits. 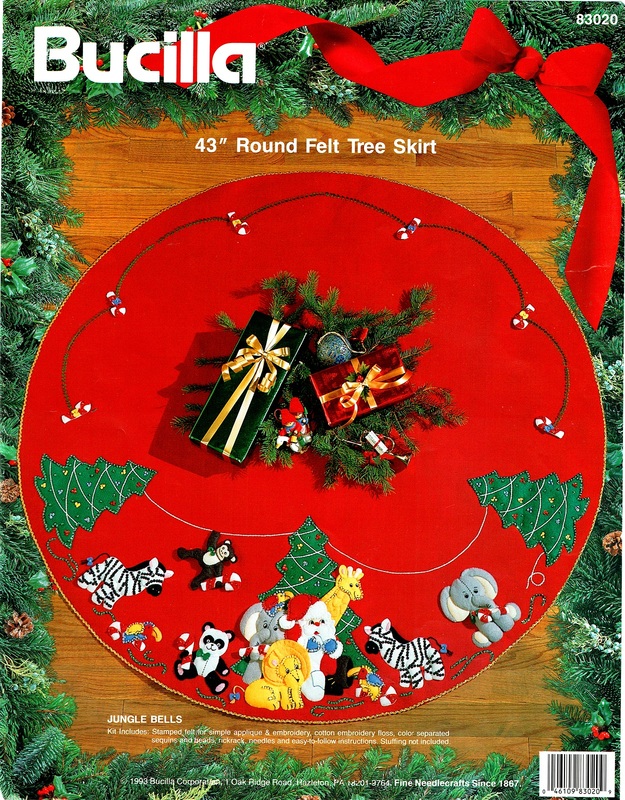 Whether you use this tree skirt under the tree or as a table cover to help create, or dress up, a focal spot over the holidays it is bound to draw a lot of attention from friends and family.